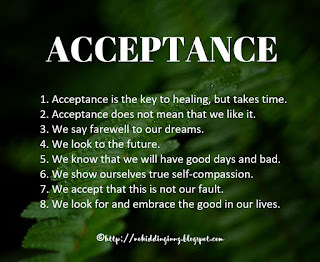 I'm reminded of how I used to hate the word "acceptance" when used in the stages of grief after I lost my Mum. 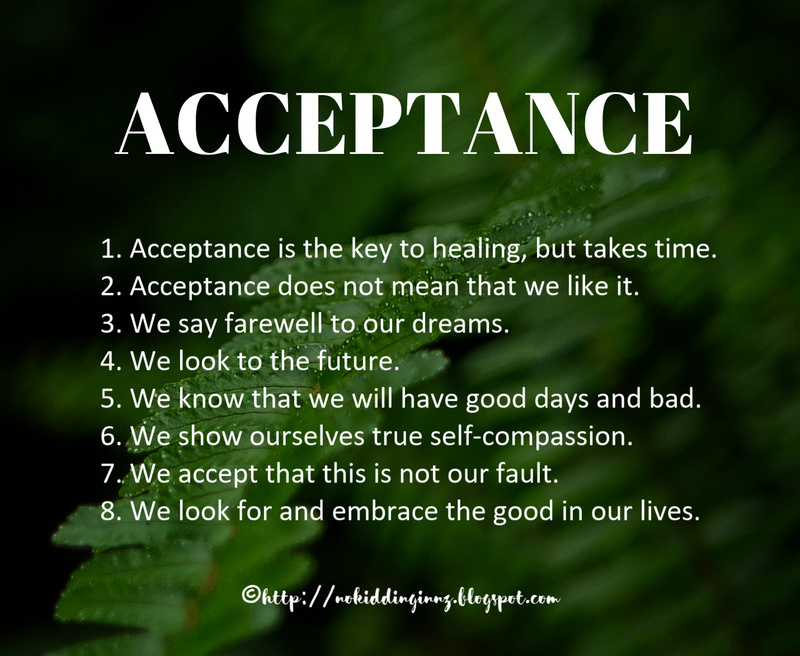 Acceptance sounded to me like I was ok with something. Acceptance in that circumstance eventually meant for me accepting that this is how things are and trying to make the most of the life I hadn't chosen. I love your list. But most of all I love your conclusion...."because there really is no other option." I love this. And dublinerinDeutschland hit the nail on the head of how I use to view acceptance. Love love love this post! I also used to think on "acceptance" as a sort of synonym for "giving in" or "giving up", a sort of throwing-in-the-towel feeling. Whereas now it feels more like "healing" or "getting off the damn merry go round" or "moving forward with the life I have." Such a powerful post that I wish I could send back to myself over a year ago. YES, this. Exactly this. Thanks, Mali!